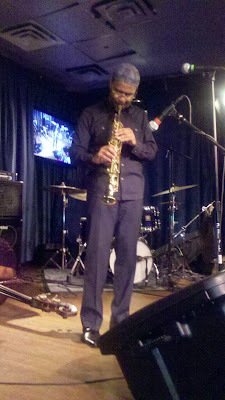 The saxophonist Kenny Garrett has been a prominent voice on the alto saxophone for several years. At age fifty-four, Garrett, is in the sweet spot of his musical career. He has honed his skills the old fashioned way, he’s earned it with a career spanning close to four decades and associations with some of jazz’s most celebrated creators. Garrett started in the Duke Ellington Band with Cootie Williams, was a member of The Mel Lewis Orchestra, and played in Charles Mingus alum Dannie Richmond’s band. He was a member of the Art Blakey School of music and gigged with iconic all stars Woody Shaw, Freddie Hubbard and Joe Henderson. Perhaps his most dogged association is with Miles Davis. Garrett played for the legendary band leader for the last five years of Davis’ life. 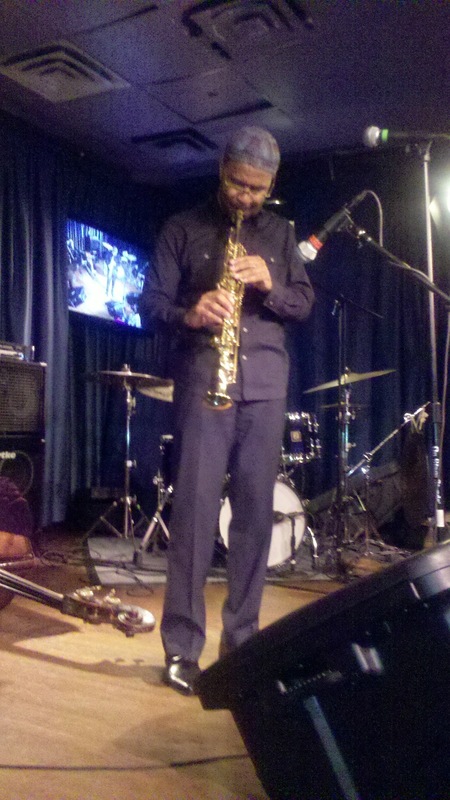 Garrett, no stranger to recognition, has garnered no less than eight wins in the ”Best Alto Saxophonist”category of the annual Downbeat polls. Despite an innate desire to be creative with his music he is always aware of his audience. We talked to the saxophonist by telephone on April 16, 2015. NOJ: I am a big fan of your music. Your last two albums were pretty moving and I think you sort of bridged the gap, for people who are not quite willing to go far mainstream as people like Robert Glasper, but yet still produce solid improvisational music that has a wider appeal. I am not sure if you have been trying to consciously do that, but I think it is working. KG: Well no actually I just play the music as I hear it. Some of my heroes in the music that I have heard, people like McCoy, and Trane and Sonny Rollins and people like that, that is the music that I hear, so I try to write what I am hearing and that ( my music) is really a reflection of that. NOJ: In interviews you have said that your musical path emerged by working with the elders and that now musicians are taking a more academic approach to learning jazz. Is this more academic approach affecting, what I would call the social connectivity that jazz used to have with its audience and is the music becoming too esoteric for its own good? KG: See, I think every generation has to define the music. … I always like to tell the story, I was recording this CD and the tune was called “Ain't Nothing But the Blues” and when I wrote the song I was thinking about Miles Davis, BB King and Bone Thugs- N- Harmony, it’s a hip hop group. So Bobby Hutcherson was recording with me and he says to me, “ You’re kidding me, is that the blues?” I said to myself it’s the blues all day long, but with that being said, I guess because( he was from a different generation) he heard it totally different. To me it had trickled down a little bit differently he said “Wow is that the blues?” Sometime when I hear music I say “Is that jazz?” So every generation kind of has to come to terms or get a grip on to how the music is moving differently than you might want it to move and I am the same way. (The music) Its moving, it’s a different way of learning it. I come through the university so I don’t really look at it that way. Actually the blessing is that I got to play with the greats. I played with people like Miles Davis, Freddie Hubbard, Woody Shaw, Cootie Williams, Donald Byrd, Art Blakey, and Dizzy Gillespie when you think of that, you kind of hold onto that as something dear. I think it is a little different approach to the music. That’s neither good nor bad, it is what it is. Others are trying to find it their way. The way I learned it, I learned from more of an almost an African tradition, it was passed down. It is not really passed on now as I did it. There are people, musicians who are teaching it ( in universities), they have actually been in the forefront, but it is just another approach. NOJ: I want to get back to a point. To paraphrase a famous line attributed to Duke Ellington that there are only two kinds of music , good music and everything else. Do jazz musicians today get stuck on playing music for themselves and not making it entertaining enough for a broader audience? KG: I think that depends on the generation. I think if you are in a laboratory and you come from a university and you are in a laboratory and that’s the way you’re assimilating it then that’s the way it might be. I think everybody is different. Our jazz has always been the same. People have always been saying, jazz musicians are playing for themselves. Some of that is true, I think even for myself, some of it is true I am playing for myself, but also I am cognizant that the audience is there. What I would like for the audience to experience is this journey that I would like to take them on. It is not that I don’t acknowledge them, I definitely acknowledge them, I am hoping that this music will touch them in some way, even if they have never heard me before, I am hoping it will touch them. …I hear a lot of young people come up to me and say I never heard music like this before. I say to them it’s a little different because these are my experiences that I am presenting to you. You can’t expect a younger musician who hasn’t had that many experiences to really come up with something like that at this point. You’re going to have to wait, and I m sure that is what some people say about me. Ha ha. NOJ: I read several interviews where you said that Pharaoh Sanders, who is a well know contemporary of John Coltrane, said he sees a lot of John in your playing. Do feel that connection and do you consciously try to achieve that connection or is it something that comes out of you because of his influence? KG: I think for me it simply comes out of me. I look at a lot of times, when Pharaoh and I play together it’s so uncanny. A lot of times, because he played alto before he played tenor, we’ll go and play the same notes. Sometimes I am in his register or he is in mine and one of us will have to go higher. Of course, John Coltrane is one of my heroes, there is no denying that, but I think I can still kind of find a way to get to that feeling ( that John had) in my music. So I am always looking for that feeling, I guess (it’s) that spiritual quality, really just a feeling that brought me to the music. I remember when I was a kid, I used to basically take all my forty-fives, I would hide them, and then during Christmas time I would pull them out and I would play all of them. They would fill me up. It was a very emotional feeling that I got. When I listen to music I would love to hear that. So when I am playing music I am trying to get back to that emotional experience that I had when I was a kid. NOJ: What kind of forty fives were you listening to? KG: I would listen to anything, any of my favorite records, some R & B and some jazz. Coming from my home, my father was listening to jazz and my mother was listening to Motown so I had both. Any of my favorite records , it could have been Kool and the Gang, Maceo Parker , it could have been James Brown that feeling was what I was looking for every time. When I start thinking about music, I say to myself, I wonder if I can bring that feeling back, for people to experience what I was experiencing at the time. NOJ: Which was joy, it was real joy, right? KG: It’s really joy. That is what I am hoping for. Everybody gets something different from it. The core of what I am trying to get people to understand, I think it gets there. When you travel people always come up to me after a show and ask “What is it that I was experiencing? It’s something but we can’t really put our finger on it.” To me that’s good because at least it’s something that they feel. They don’t have to be able to explain it, as long as I know you can feel something from it, then I think mission is accomplished. NOJ: Well you obviously are doing something right. You received Grammy nominations for your last two albums Seeds from the Underground and Pushing the World Away . These alums paid homage to some of the people who made an impression on your life and both had critical and general appeal. What’s next for you after having looked back from where you came? KG: I think that a lot of people were saying I looked back, but if you check out my cds I’ll always look back. I always acknowledge. Seeds was acknowledging a lot of people. Most of the cds it might be just one person, maybe two people, maybe I might play some songs that remind me of someone. But I am always doing that , I always do that because I always feel blessed that I had the opportunity to play with Miles, Freddie and Woody . I mean these guys…if I had come up at a different time I think it would have been something different, but to acknowledge that and to acknowledge people. There was a tenor saxophonist from Detroit, his name was Bobby Barnes, and he gave me a couple of lessons and I tracked him down just to thank him. He said, I really did (something for you), and I said the lesson that you gave me was an important lesson, because I still use it today. Sometimes it’s not the person that you think it is it’s another person who gave you something new. So I am always grateful for that. I wouldn't be here if there wasn’t a little struggle, I was working hard, but definitely their input was very important, it’s always important. NOJ: I love that song “Wiggins” from Seeds, that was such a hot number and I guess it was dedicated to one of your onetime school band leader? KG: Bill Wiggins was my high school band director but I also took private lessons with Bill. Bill studied with Larry Teal, who is a classical saxophonist. Joe Henderson studied with Larry Teal, Vinnie Martin studied with Larry Teal. Brother Yusef ( Lateef) studied with Larry Teal. So the thing was I wanted to play with Larry Teal and Bill said you don’t have to study with Larry Teal I studied with Larry Teal. I wanted to go to Cass Tech which was the best school to be in, he said you don’t have to go to Cass Tech I went to Cass Tech and I will teach you. He was one of the cats along with Marcus Belgrave who really helped me. Wiggins was the one who actually sent me to Marcus to try to learn more. NOJ: To go back to Coltrane for one second. What was the first recording of John Coltrane that you heard that really moved you? KG: Actually it was a recording; I think it was called the Blowing Session with Johnny Griffin, Hank Mobley, Lee Morgan, Art Blakey, I’m not sure who was playing piano on there, but I remember playing on “All the Things You Are” and Johnny Griffin was killing, he was playing all this stuff, you know how Johnny plays, and Trane he was playing one note and ah man it’s all over. For me it was over he just played one note, you got to be kidding me. NOJ: (Laughing) You know Kenny what you say on line can come back to haunt you. KG: (Still Laughing) You know that’s the truth. NOJ: Was that a fair comparison at the time and were you trying to emulate Stitt? KG: Well no I don’t actually think I sounded anything like Stitt, but I think for him, I think that is what he heard. Of course I did listen to Sonny Stitt, but I don’t think… I was listening to Bird and Cannonball and Sonny Criss, but I think for Miles , you know he heard that. NOJ: Stitt was famously lost in Charlie Parker’s sound which was hard for him to get away from. He was a great player but it was hard for him to be under that shadow. KG: Well of course. I think a lot of musicians were able to discern Stitt rather than Bird, which is what I’ve heard. A lot of musicians were able to get that. But I think for me growing up in Detroit if you play alto you have know about Charlie Parker. NOJ: As a musician who is now at the top of their game, it must be liberating to know you can proceed in any musical direction and be able to accomplish whatever you are trying to achieve. What musical challenges do you still want to conquer? KG: So many things I would really like to attempt to do, it’s just really the timing, but what would I like to do? Something I would like to do is to record a cd with strings. Something I would like to do is record with some Japanese Kabuki musicians. I mean there are a lot of things, but it depends if I have a lot of time to really prepare for it. Everything is moving so quickly, If I had the time to really go in and research and do it like I kind of research I did with Beyond the Wall for example. So it depends on where I am at the time. NOJ: You have played with the Five Peace Band and the live album actually won you a Grammy in 2010. With the exception of Christian ( McBride) and Vinnie ( Colauita,) you , John () and Chick () had all played with Miles. Did you guys feel like you took what Miles started and brought it to a new level? KG: I m not sure what their goal was, but to me it was a learning experience. Playing with John, he has a lot of information. He has studied a lot of Raga, Indian music. Chick and I we have a relationship so that was great, but I can’t say what direction they were trying to go in. That would have to be something you would have to ask them. I took initially that we would all contribute to the music, but it ended up (being) more Chick and John doing most of the writing, which in the long run actually helped me. We had one song and it was fifteen ( time) and I really wasn’t playing a lot of odd meters at the time. It was a learning experience playing with John. Chick and I have been friends a long time, but musically I couldn't really say if they were trying to take it to the next level or not. NOJ: You are primarily an alto player, but you are also a formidable soprano player. I read that you once played John Coltrane’s soprano. Did that experience lead you to embrace the instrument? KG: No actually, when I played with Miles there were a lot of saxophone players asking me why I wasn’t playing soprano. I really just didn't hear it, at that time I was focusing on my alto playing and trying to find my voice, but then eventually … I don’t think with Miles I ever played any soprano, but then later I got a soprano and started to practice with it and that’s what happened. I’m surprised you heard about my playing Coltrane’s soprano. NOJ: What do you like about the soprano’s voice as opposed to the alto? KG: I think my treatment of ( the soprano) it’s a lighter sound. The alto is kind of like a tenor for me, so when I play the soprano it kind of lightens it up a little bit , I don't have to have the same voice. It kind of breaks it up a little bit. 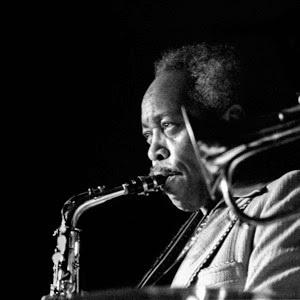 NOJ: There have been many schools of alto playing over the years, the so called West Coast cool school of Lee Konitz, Art Pepper, Paul Desmond and then there is the East Coast school coming out of the Parker lineage, Sonny Stitt, Phil Woods, Jackie McLean and of course Dolphy, Cannonball and the Coltrane influence. Where do you think you fit in or is it relevant at all as to where you fit in? KG: That’s a hard one,. I’m not sure, because there are so many different schools that I have been influenced by, so many of those people. When you’re studying music, you really don’t know where you’re coming from. (Laughing) They start to draw you in and you start to try to emulate them, but of course one of main influences is still Trane, but not only Trane there is Sonny Rollins, there is Joe Henderson, there is Maceo Parker so many people. NOJ: But those are all tenor players right? KG: Well yeah but so many , there is Bird , there is Hodges, there’s Sonny Criss there are so many people in the beginning. But in thinking about the voices that I really hear that influenced me the most it would probably be like Sonny and Trane and Joe and Wayne ( Shorter) those are the few guys that stick out. There was a point when I checked out Wayne, by playing with Miles it sent me back checking out those records to listen to Wayne’s voice and this view that he is coming from. But of course when you talk about Wayne he’s coming from Trane and Trane’ss coming from Bird so all those tongs lead back at some point. NOJ: What do you think about the West Coast school and the cool sound? KG: I don't really think about that. I have listened to Lee Konitz so I can’t really say… I don't really think about West Coast vs. East Coast, whoever I like I just take it all in. NOJ: Are there any young players that you are particularly impressed with? KG: Actually I like an alto player from Baltimore this guy’s name is Tim Green. I like his voice and I like what he is trying to do/ There are of course is many players Jaleel Shaw and Bruce Williams come to mind. Actually Antoine Roney, Wallace Roney’s brother, I like Antoine’s playing a lot. There are of course quite a few players that I haven’t yet heard. NOJ: You've become more melodic in your more recent compositions. Is this conscious effort to try to connect with your audience and perhaps widen the music’s appeal? KG: I have always been very melodic. I ve always loved melodies since day one so that is just really a natural thing for me. NOJ: You played piano on your last two albums. I particularly point out “Brother Brown” from Pushing the World Away, where you are being uncharacteristically backed by strings (. I guess that is a window into what you want to do with strings in the future? ) ( Laughing) How does the piano expand your voice in ways that the saxophone does not? KG: Playing the piano allows me to orchestrate a little bit more, harmonically to be able to play something for gigs. A lot of the ideas they come quicker on the piano, because it’s right there and of course I hear it because I play it all the time. I hear it on the saxophone, but it’s a little bit quicker, for me it’s a visual thing you can see it right there ( on the piano) and it just kind of happens. Sometimes if you play the notes on a saxophone, like a C Major and its fine, but the same notes might be something a little different when you play the piano. I play piano on a lot of my records, but I don’t always play a solo like on “Brother Brown”. NOJ: I remember the last time I saw you perform at the Iridium and Mulgrew Miller was there before he passed and he sat in with you guys. It was so interesting to see Benito Gonzalez and some other piano players hover around him watching him carefully as he played. It was a great show and a great experience. KG: There was so much respect from musicians because they realized that Mulgrew was trying to be the best he could be. I definitely remember that, with all the cats going wow. Mulgrew and I we have been friend for thirty five years so I knew what he was really striving to do. He was trying to accomplish and be one of the greats! When we first came to New York we would go to see Tommy Flanagan, Barry Harris, Hank Jones and people like that, so I think for him that was what he aspired to be. I came up through the Duke Ellington Orchestra, but he also had a chance to play with Woody Shaw and Betty Carter and all these different experiences, big band and small groups. A group with Woody Shaw that harmonically was just crazy. So all these experiences led him to be the great player he was. NOJ: You have favored pianists with a very percussive technique, distinctively a very McCoy Tyner influenced sound. Your pianist Benito Gonzalez is a good example of this style. McCoy’s style with Coltrane was once described to me by the pianist Steve Kuhn ( who briefly played with Trane just before Tyner) as laying down a carpet of sound that John could then explore from. Is this what you look for in a pianist, to give you this kind of platform to work off of? KG: Well that’s definitely how I hear it. Of course by listening to those records of Coltrane playing with Mc Coy, at some point when I play the piano , when I am writing I hear that and that is what I am trying to get them to explore. I think for me Mulgrew , because I played with him the most, was able to…he was like a glove, when I would play, he knew how to open up those chords. It was almost like when Miles Davis with Herbie ( Hancock). Miles would play a note and Herbie and those guys would know what to do. What I try to do, it is the same thing with the pianist that play with me, try to get them to learn how to orchestrate and how to follow that and sometime not to (follow). They start to understand what is needed and what is not needed. NOJ: You have incorporated more voice and chanting into your music. It was particularly effective in the haunting composition “Detroit” from Seeds. What is the sentiment that you are trying to portray in that moving song. KG: At twelve o'clock every day in Detroit there was a radio announcer, her name was Martha Jean the Queen. Every day, every day she played the same song, I think it was a James Cleveland song. I think it was called “Without a Song” it wasn't the standard that we know, but I think that was the name of it. But everyday at twelve o'clock she would play this sad song. I would say “Wow , Really! “ But I remembered it , that’s the craziest thing, I remembered that haunting sense of that tune. So when I was writing I wanted to find a song to capture that feeling like “oh no not again”. I tried to capture the spirit of what that song meant to me. NOJ: The song was beautiful but had a haunting, melancholy feel to it, I thought it was a statement about how far Detroit had fallen? KG: Not so much that, of course that was part of me wanting to write a song for Detroit. They were going through some rough times but it will come back. Like every city it has to come back, hopefully sooner rather than later. 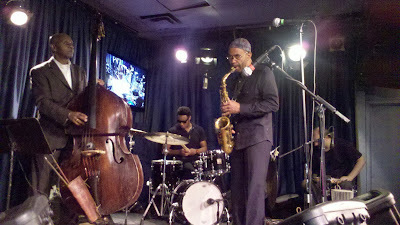 NOJ: The Iridium is presently your choice venue in New York. while it has a history of providing top talent jazz in recent years it has been more of a guitar-centric venue. What makes you feel right at home as a performer there? KG: I first used to play a lot at Sweet Basil that was my home. And then they did something, they had a change or something so eventually I had to find another place and Ron ( Sturm, the Owner of Iridium) was able to allow me to come there when I wanted to play and so that became my new home. So when I come to New York that is where I go. I call him and say I am looking for some place to come and play and he has always been accommodating. NOJ: So you will be playing at the iridium on May 22 through May 24th and who will be in the band? KG: Vernell Brown playing piano, Rudy Bird, playing percussion, Mc Lenty Hunter playing drums and Corchran Holt playing bass. It is like the working band. NOJ: Will you be introducing anything new? KG: Every once in a while we try to throw in something new, I'am not sure if we will do that but mainly it will be a repertoire from the last two records. NOJ: You have just been on tour in Europe recently? Charlie Hunter Trio "Let the Bells Ring On"